Even McDonalds is offering healthier options in their happy meals, including milk instead of soda and apple dippers in lieu of French fries. 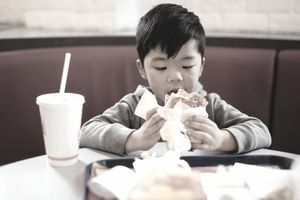 To help you revamp your own kid's menu, here is a kid-friendly restaurant menu that balances popular kids’ foods with nutritious alternatives that parents will appreciate. Your children's menu doesn't have to be just hot dogs, boxed macaroni and cheese and chicken fingers. Today children (and their parents) have more sophisticated tastes. Millennial parents, in particular, are looking for healthy choices for their kids when they eat out. Pinterest is replete with healthy kid menu ideas that are easy to make and will keep your food cost in line.